We didn’t actually have a choice about staying at Palace, as it was where our Fraser Island tour was run from, so we got the nights before and after our trip included. However, it does also run as a standalone hostel and in my opinion it’s a pretty good one. Okay so it’s not the BEST place I’ve stayed, and it could definitely improve in some areas, but it’s not all bad. The hostel is organised into separate ‘units’, each with its own kitchen, lounge area, two bathrooms and 5 dorms, all of varying sizes. I loved this layout as it means you can really get to know your fellow ‘unit’ mates and all hang out in the spacious common areas. 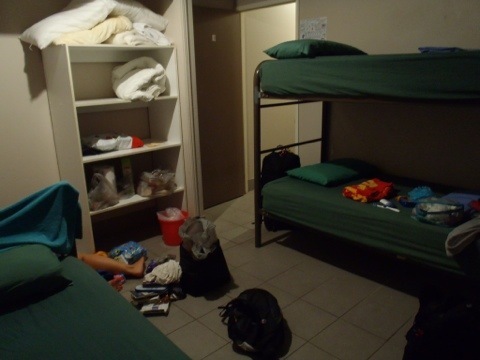 The rooms cost roughly $25 per night, but some are cheaper or more expensive depending on the size of your room. The beds are very comfortable and the rooms large enough for everybody and their stuff to be in their without getting on top of each other. The hostel have a courtesy bus that will pick up and drop off at the main bus station in town and all the staff are generally pretty helpful and upbeat. There is a swimming pool, a common room with TV and pool table and an outside seating area. 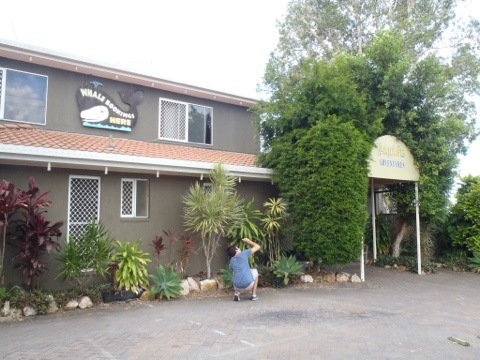 Like many other hostel in Australia, they use the Global Gossip Internet and WiFi system and there are computers in reception for any hostel guests to use. The best thing about this hostel, in my opinion is the fact that you can lock your bags away in individual lockers in a big storage room (particularly good if, like us, you are going away for three days to Fraser Island), rather than all the bags just being together in a place that everyone has access to. Now, cleanliness. This really wouldn’t be much of an issue at all if it weren’t for one thing. Bed bugs. A lot of people woke up on our last morning there saying that they’d been absolutely eaten alive in the night. In some of the units it also seems that there are bugs in the carpet and sofas too. 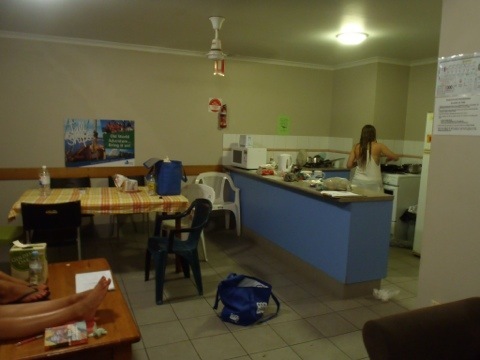 It’s a shame, as the general cleanliness of the hostel isnt bad at all…a bit grubby in areas, but perfectly acceptable. So, if you’re going to Fraser Island with Palace, then it’s a great place to stay for a few nights. If you’re just hanging out in Hervey Bay, then I’d stay away, at least until they sort out the bed bugs!